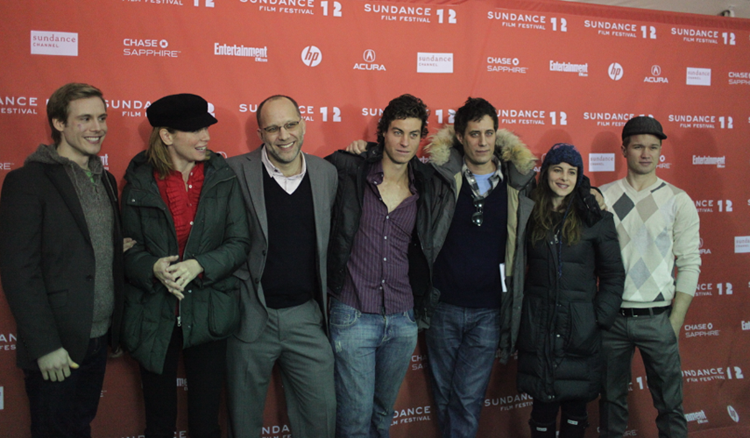 The 2012 Sundance Film Festival has gotten off to an amazing start with premiere screenings of Queen of Versailles and the astonishing Beasts of the Southern Wild. But we’re most excited, of course, about our own world premiere tonight at 8PM at the Library Center Theatre. Make sure to follow @ktlomovie on Twitter so you can read the instant reactions after the film’s over! See you tonight! Ira Sachs, Academy Award-winning sound mixer Dom Tavella (Chicago, Forty Shades of Blue, Black Swan) and Sound Designer Damian Volpe tweak the final mix in advance of Keep The Lights On‘s Sundance premiere in one week! We’re excited to premiere Keep The Lights On‘s amazing teaser trailer in advance of our Sundance World Premiere on January 20th in Park City. Eagle eyes may also notice the Berlin Film Festival laurels at the beginning of the trailer, of course. Keep The Lights On will make its European premiere in the Panorama section of the long-running and very prestigious German festival. Since the Berlin Film Festival makes an appearance as a setting in the film, it’s only fitting. We hope you enjoy it! Let us know your thoughts in the comments below! To my admittedly biased mind, the overlooked movie news story of last year was the return of queer films to some semblance of public (read: crossover) consciousness. Andrew Haigh’s Weekend led the charge, but was equally well-matched by Dee Rees’ Pariah (in theaters now! ), Rashaad Ernesto Green’s Gun Hill Road, Maryam Keshavarz’s Circumstance, and Céline Sciamma’s Tomboy. All of these films made a critical and popular splash upon their arrival in theaters this year to the thrill of queer film enthusiasts and filmmakers. Though one might be quick to connect these films’ success to the frequent news stories about gay prejudice, bullying, and human rights, one can’t overlook the fact that each of these films are also well made, stylistically consistent, and created by filmmakers unafraid to tell honest stories that reflect the real lives LGBT people live every day. With Keep the Lights On premiering in just over 2 weeks at Sundance, we’re hoping that this trend continues. Above, KTLO director Ira Sachs discusses the state of queer film today and the link between capitalism and telling queer stories. We’d love to hear your take on the state of queer film today in the comments below! On the last day of shooting, Keep the Lights On videographer Onur Karoaglu spent some time documenting the final hours of principal photography. If you’ve ever been on a film set, you’ll recognize the mix of exhaustion and jubilation that lingers in the air. 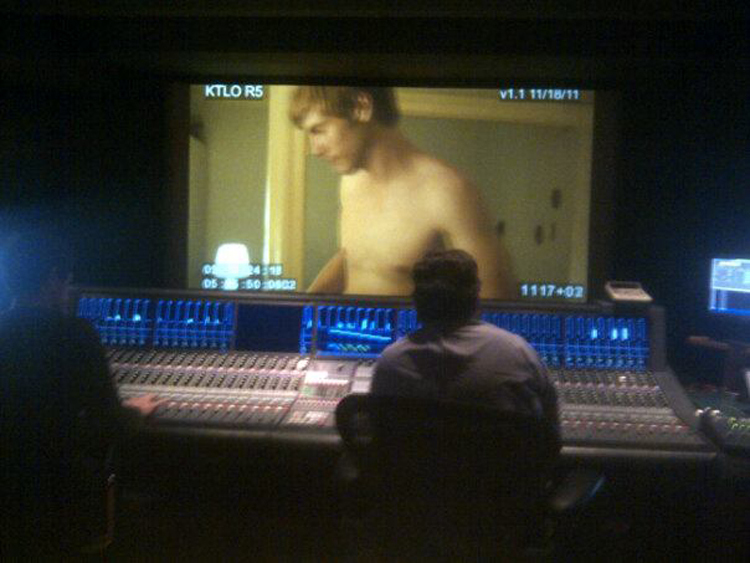 Funny to think this was only a few months ago, and now we’re premiering at Sundance in just over a month! In the second part of my in-depth interview with director Ira Sachs, conducted prior to the filming of Keep The Lights On, I asked Sachs about something we’ve devoted a whole section to on our site: the way autobiography intersects with our art-making process. Sachs also discusses another autobiographical film that influenced him, as well as how his decision to live “as transparently as possible” led to him writing the film. It’s interesting to consider Sachs’ responses, which seem so assured and confident, coming after his dramatic production diary post from last week where he realized, upon watching a first cut, that the film was definitely him. To my mind, it shows that the work involved in opening yourself up in the creative process is constantly evolving as one’s autobiography. On Wednesday, July 27th, scores of hot young guys filed into Eastern Bloc, the popular Soviet-Union themed East Village gay bar, to dance, drink, and party. If it were nighttime, nobody passing by would have batted an eye. But outside the bar the mid-day summer sun was drilling through layers of SPF-30 on skin all over the city. Director Ira Sachs had picked this day to film a pivotal moment in Keep The Lights On in which the characters played by Thure Lindhardt and Miguel Del Toro first meet in a crowded bar. Extras casting coordinator Jason Klorfein had been working for months to ensure that the place was packed with an authentic group of bar patrons, and when the day finally came it was a roaring success. Keep The Lights On‘s videographer Onur Karoaglu captured the behind-the-scenes action amongst the extras and other crew in this terrific video.